"Les Miserables" is one of my favorite musicals of all time -- I've seen it live over half a dozen times, including the 1990 Broadway touring cast, the 1991 cast in residence in London, as well as numerous other tours... I remember the revolving stage (no longer in use, and I miss it still). Admittedly, I'm a self confessed "Les Mis" snob. 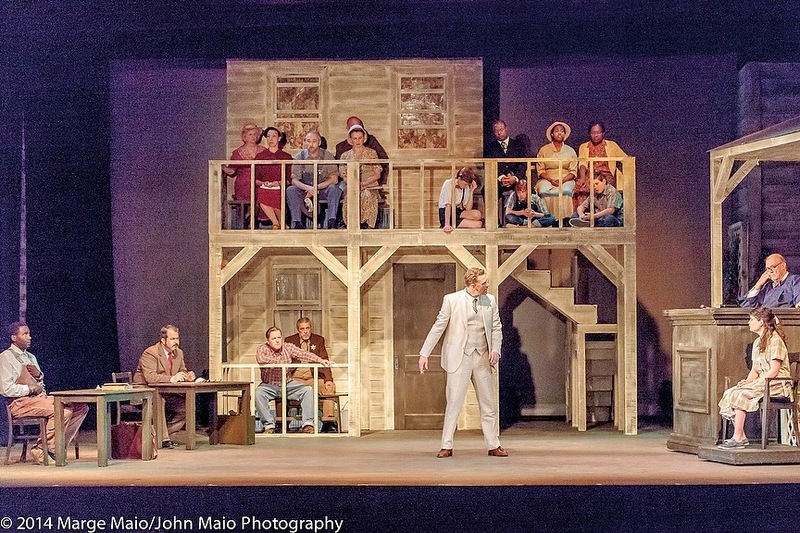 Without a doubt, the Albuquerque Little Theatre provides local residents with the same kind of high quality, professional production, both in sets, sound, acting and (of course) vocal ability, and was met with standing ovations in recognition and response. Based off Victor Hugo's French novel, the characters in this show evoke the varied emotions of a society in the midst of political change, and massive suffering. 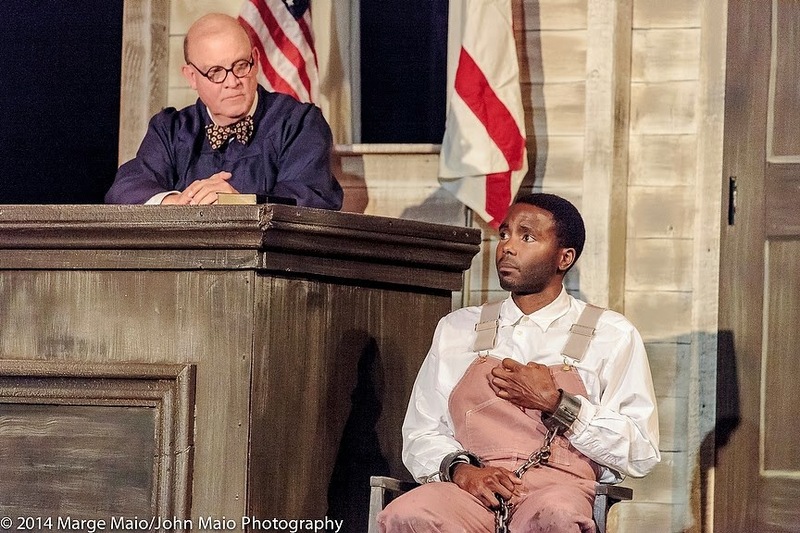 Kevin Fannin portrays Jean Valjean, once a prisoner, repeatedly challenged by the conventions of his society, and forced to make moral choices as a consequence of his parole. The shift in Valjean's perspective, brought on by the struggle of trying to do right in an unjust world, is as pertinent today as it was to 19th century France, and Fannin's ability to remain compassionate in character, and to find his own vocal interpretation within these iconic songs, speaks to his artistry and talent. 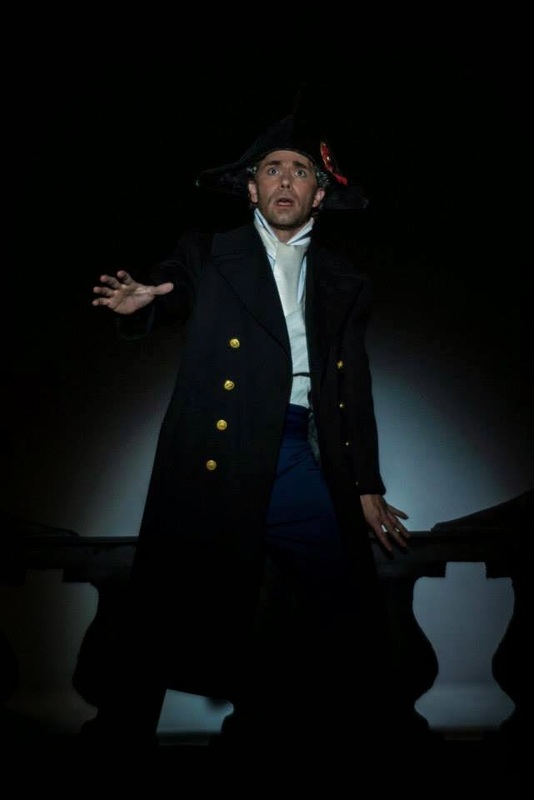 Valjean's greatest adversary is that of Inspector Javert, portrayed by Paul Bower, who hunts Valjean obsessively, ready to bring Valjean to justice. Bower's Javert is phenomenal, one of the best I've ever seen, and as a character, is necessary as the counterpoint to Valjean's moral choices. Javert's own choices, which he seems unable to make with the same conviction as his nemesis, do not enrich his character but instead pull him apart. Ultimately it is Valjean who finds himself in this show, and Javert who loses himself. 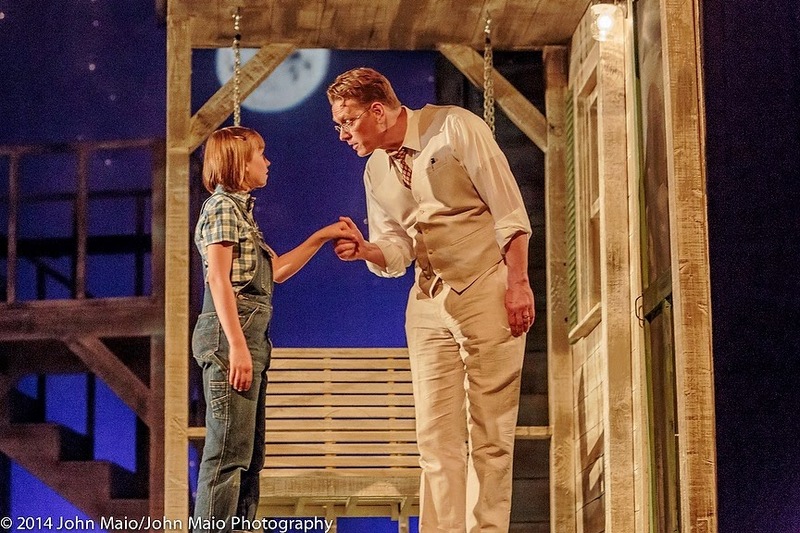 Bower's rich baritone fills the role completely, giving the adversarial role a sense of humanity as well. If we didn't connect to Javert's pathos, his existential crisis, a reason to pity him, then perhaps we are no better than he is. Circumstances lead Valjean to becoming an unlikely father as he fosters the child belonging to Fantine, played by Shaena Crespo, a consumptive woman of the streets. Crespo's challenge is to coax this lifelong commitment from a man she hardly knows, and she brings this believability to her performance brilliantly. Cosette is kept by the conniving Madame Thernadier (Vanessa Sanchez) and her husband (Stephen Balling), a duplicitous pair who scheme their way through their miserable lives by focusing on being survivors in these times of hardship. With comic timing and a sense of bawdiness, Sanchez and Balling keep the couple light hearted, even though their characters are perhaps the least compassionate ones in the story. Valjean removes young Cosette from their care, knowing, "It won't take you long to forget." 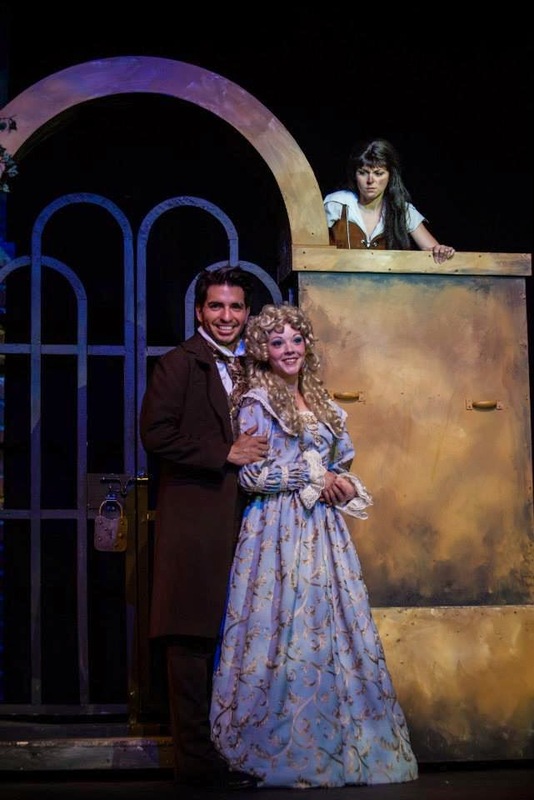 As a grownup, Cosette (Karliz De Marco) falls in love with Marius, a student and revolutionary, played by Jon Gallegos. But Marius has another admirer as well, Eponine (Kristen Ryan), whose life is not nearly as pampered as the girl whom her family once fostered. Both De Marco and Ryan employ their powerful voices for these principle roles, giving us a range of emotions in their respective characters. Finding himself between his friend from the streets, and the young woman of society whom he fancies, Gallegos also shows us the emotions of his role, his soaring tenor voice filling the auditorium to take us on Marius' emotional evolution. Unable to take his eyes from Cosette, we feel the new found love when the couple first meets, as well as his great sorrow when later faced with the deaths of so many of his friends and compatriots. Gallegos' emotional connection to Marius allows us to remember that no matter how difficult it is to stand up for your beliefs, it can be even harder to be the last one standing and to still hold true to your prior convictions. Beyond the love story, and the revenge story, there is the political story of the rebellion, fought by students who were ill prepared to meet their opposition. Requiring a strong ensemble, the men's moments are best seen and heard during "Red and Black," or the "Barricades" numbers, while the women combine their talent to numbers such as "Lovely Ladies," and "Turning," giving us many perspectives throughout the show. 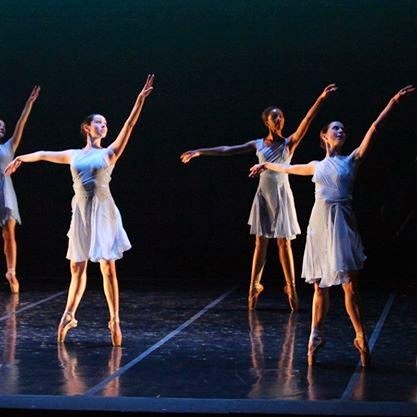 The ensemble cast functions as neatly as the principles do in their solo and duet moments, with individual characters that are believable and well thought out, as well as powerful in voice and presence. Directed by Henry Avery, with musical direction by Lina Ramos, the show plays until June 15, and due to the popularity of the show -- the recent movie release made legions of fans that might not have existed before -- one should purchase tickets in advance, or risk being turned away from the theatre due to sold out houses. 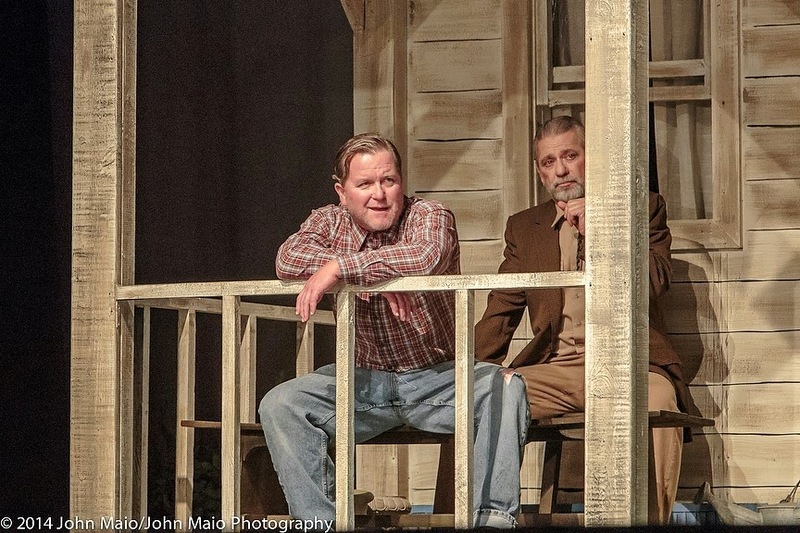 Visit their website at www.albuquerquelittletheatre.org to find out more about tickets, as well as their upcoming 85th season, starting later this year. At a time when radium was touted as a panacea, only to be later recognized for the hazardous radioactive material that it is, opportunities for women in the workplace were practically nonexistent. In "These Shining Lives," presented by Duke City Repertory Theatre and playing at the Cell Theatre until May 25th, we see four women who bond with each other at the workplace they believed to be "the job of our dreams," only to later discover they are fighting together against the company that hired them, and the deadly substance they were exposed to during those years spent together. Business at the Radium Dial Company was progressive for 1922, hiring hundreds of female workers at a time when women had barely been given the right to vote, and decades before Rosie the Riveter flexed her feminine muscle at her job. When Catherine Donohue (Amelia Ampuero) is hired on to paint dials with radium to provide that glowing, cheery Westclox face, she's taught the method that all the women employ, "Lip, dip and paint!" Paid by the dial, for years Catherine and her coworkers push themselves to see how many they can complete each day, relishing their financial independence even while apologizing to their husbands and families for their absence from the home. 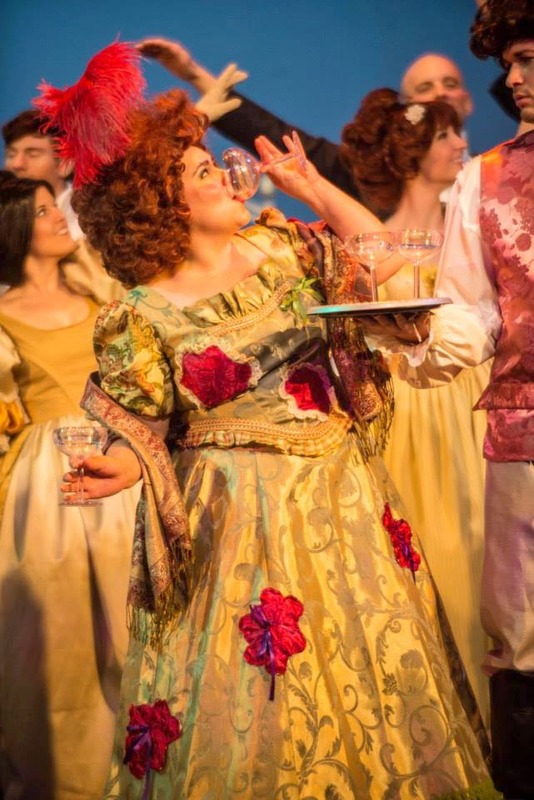 Professing, "I'm not one of those career girls," to her husband Tom, played by Ezra Colon, Ampuero continually finds Catherine's many emotions, including her elation and pride, mixed with guilt and remorse, torn in a work-versus-home drama many mothers today continue to face. Colon brings every emotion to his role as well, including sharing her moments of joy, to challenging her dedication to their home, reminding her, "Be careful, work will cost you something." Never knowing the irony, he later describes her as a glowing angel, the radium left in her skin and hair even during her off hours illuminating her, and later taking her life. 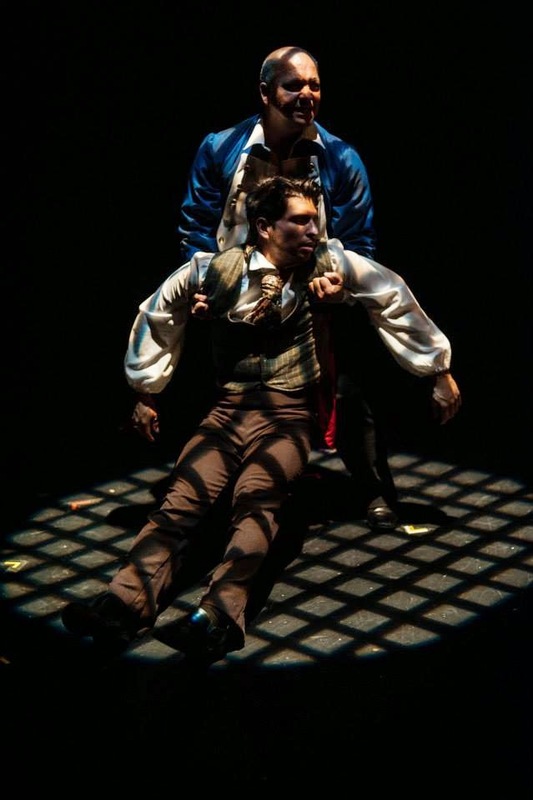 Ampuero almost never leaves the stage, navigating the play with a sense of invested honesty, and giving Donohue all of the highs and lows that are written into the show. The other women of Ottowa, Illinois joining Catherine on this journey are her coworkers, Charlotte (Katie Becker Colon), Frances (Wendy Scott) and Pearl, (Evening Star Barron). 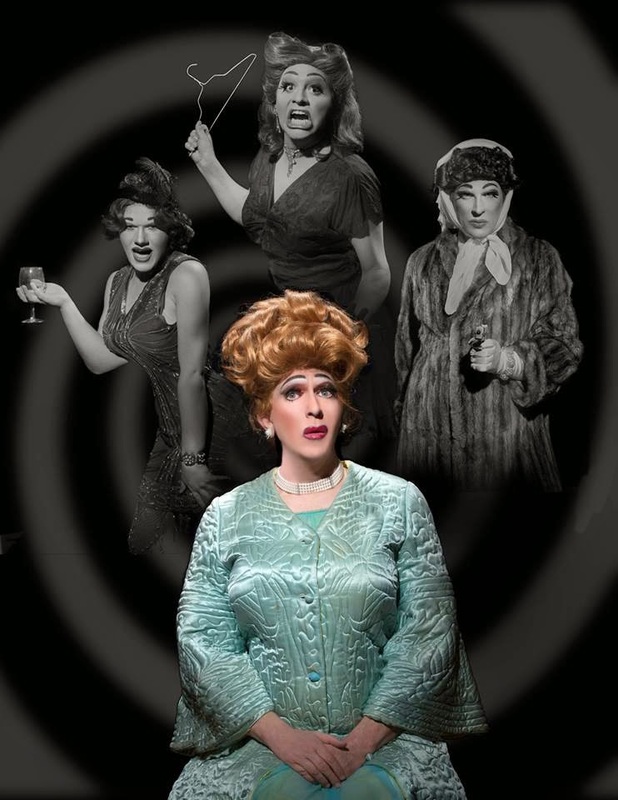 The tough talking Charlotte is the natural leader, Frances provides the "moral backbone" (though flexible) and Pearl cracks jokes or remains quite quiet, vacillating between her own extremes. Finding a friendship forged at work was a new experience for these women, each aware of the opportunities their employment provides, even while taking so much more. The bond they grow and share is what speaks loudest, working together in the factory, then fighting the company in court, and, ultimately, dying together while company doctors prescribe aspirin, and assure them they are hysterical women who are imagining these symptoms. Fighting all the way up to the Supreme Court, the women's friendship and the relationship between Catherine and Tom, gives this story added dimensions beyond a typical "whistleblower" tale. Directed by John Hardy, the theme of time plays out in many scenes; in Tom's eyes, Catherine is the "past, present and future," and at the job, "Time is money around that place." 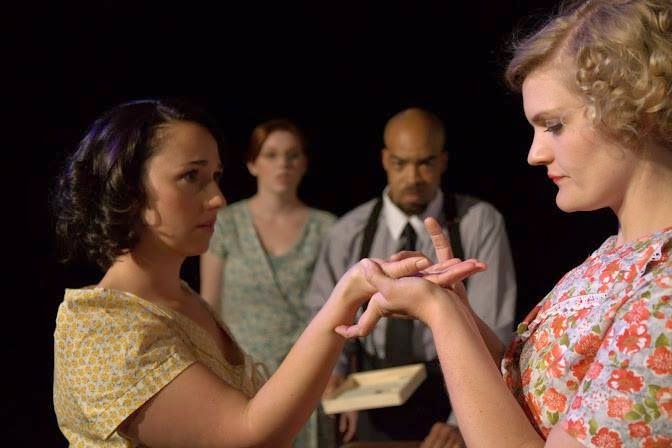 The dwindling time she has left while fighting the radium poisoning inside her body and fighting the company at court resonates in moments with greater awareness as the show, presented in its entirety, is allowed to build without stop. Giving balance to the tale is Frank Green's role as Mr. Reed, the ladies' boss, who turns a blind eye to their complaints and to his own culpability, as so many in management positions did (and continue to do when faced with their company's liability). Seating at the Cell is limited and advance tickets are recommended, which you can buy ahead from the company's website at www.dukecityrep.com, as well as keep up to date with their latest news and coming season. Is it serendipity that we find ourselves where we are meant to be, even if it wasn't necessarily part of our life's original plans? It must have been so for Victoria Liberatori at the Auxiliary Dog, or Aux Dog, Theatre Nob Hill. 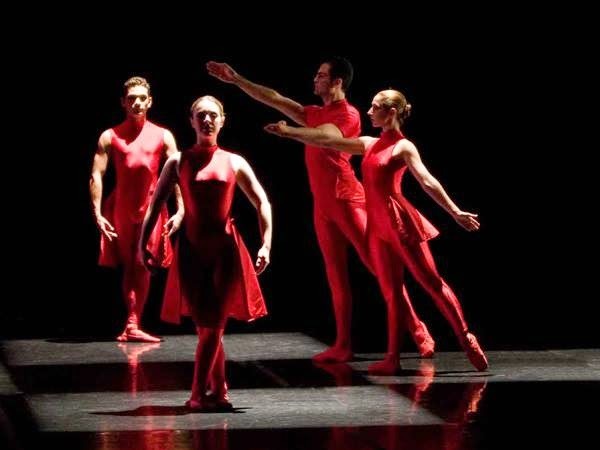 She didn't really intend to settle in Albuquerque, but after being involved behind the scenes, and then being invited to come and direct "Recent Tragic Events," a 9/11 commemorative piece that showed in 2011, she found her involvement in the Albuquerque theatre arts scene continuing to unfold. The Aux Dog, originally founded by Eli Browning over seven years ago, has been creating a new space for theatrical works in their Monte Vista location, just east of Girard, before Liberatori's entrance. 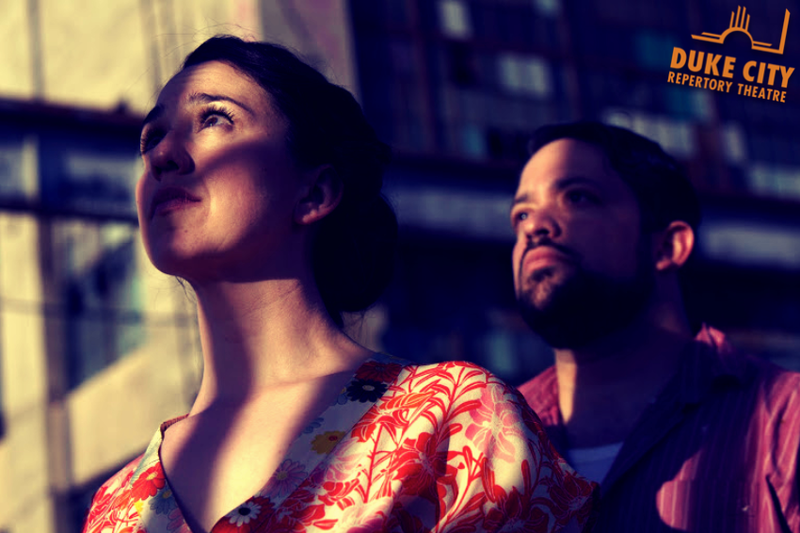 But fifteen months after directing her first play here, Liberatori was given the title of producing artistic director and things seemed to kick into high gear, with their recent expansion, new classes, and new collaborations with other companies here in town. 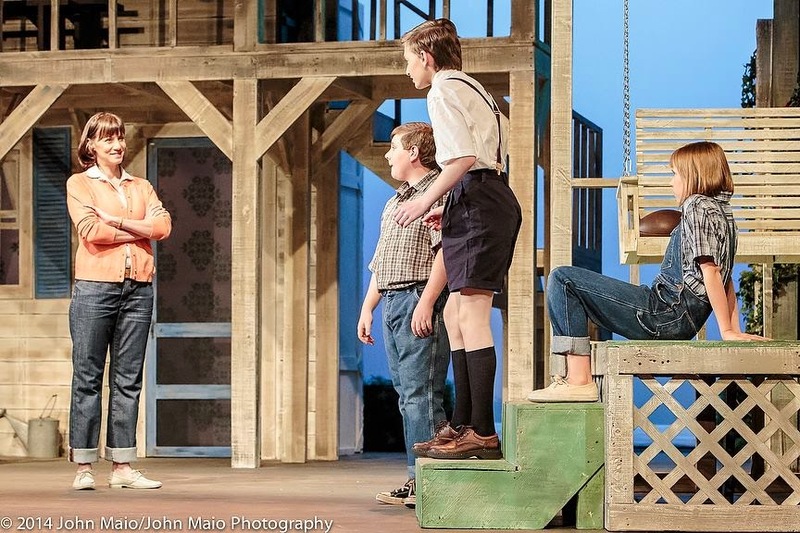 Last year brought many accolades to the theatre and its players, including being voted one of the top five Albuquerque venues to see live theatre in Albuquerque, the Magazine's "Best of the City" issue. 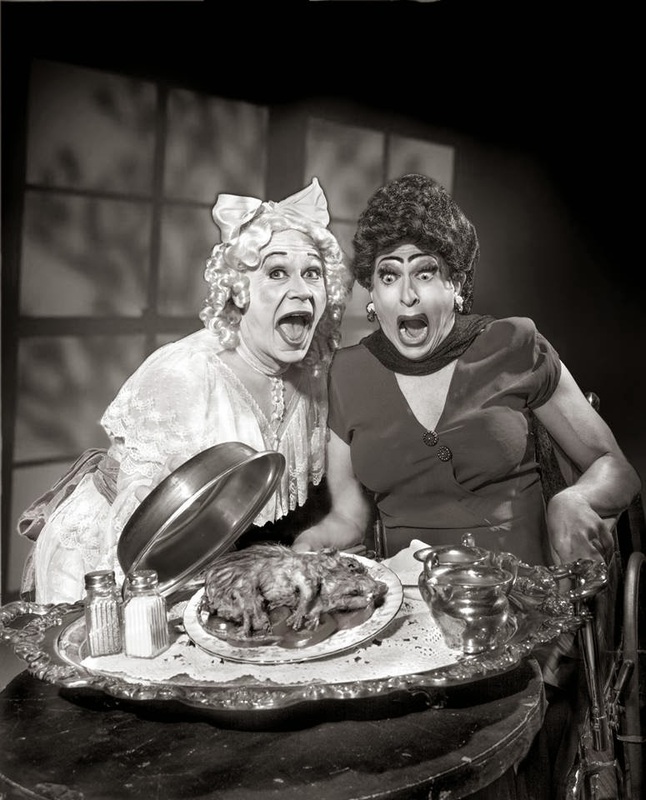 They produced the best theatrical production of 2013, "Venus in Furs," with the best theatrical couple of 2013, an honor Barry Gaines, reviewer for the Albuquerque Journal, bestowed to the show and its stars, Sheridan Johnson and Brennan Foster. 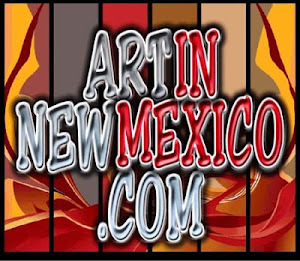 The Aux Dog also landed on Local IQ's 2014 Smart List as 2nd place for Best Theatre, and 3rd place for Best Theatre Troupe in Albuquerque. New growth is happening and the space is expanding to accommodate these future plans, converting what was once a clothing store into a creative space, thanks in part to Liberatori's vision and hard work, as well as the local efforts and donations from the community. Adding almost another 1/3 to the size of their overall property, their new black box space -- a.k.a. 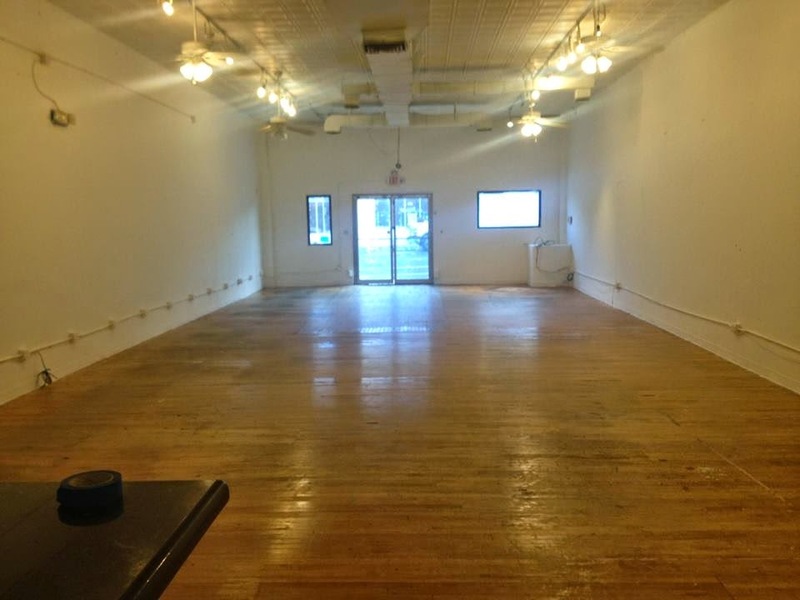 The X-Space -- allows additional room for rehearsals, classes, meetings, office space, as well as future performances. "I immediately took to it," Liberatori admits. 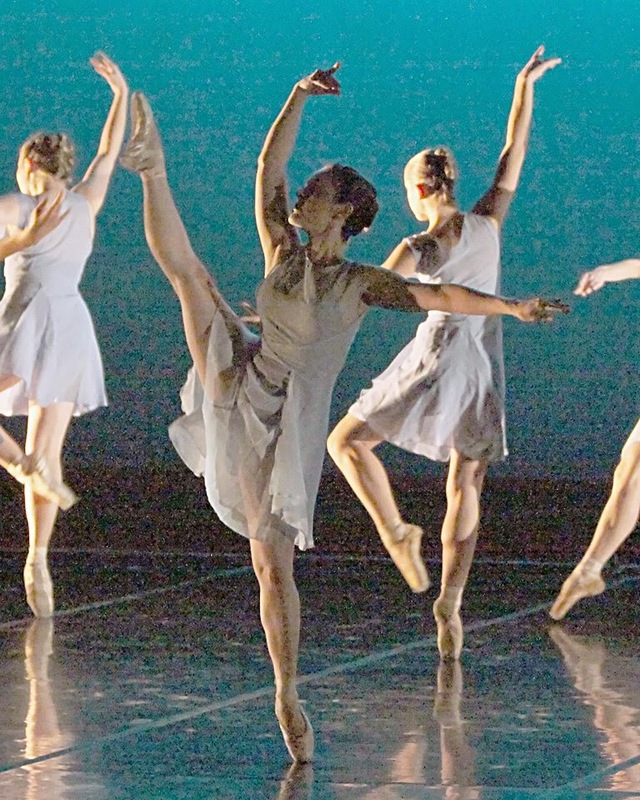 "We have a lot of programming, and we rent space in our new facility.... Those rehearsals are already beginning. We just have a lot going on." Classes have already begun; Pre-Professional Intensive Acting Classes are currently taught by Aux Dog artistic associate Jessica Osbourne, and plans are in the works for Liberatori to teach an upcoming Text Analysis and Directing workshop as well. No doubt the space will be quite occupied, and in many ways. 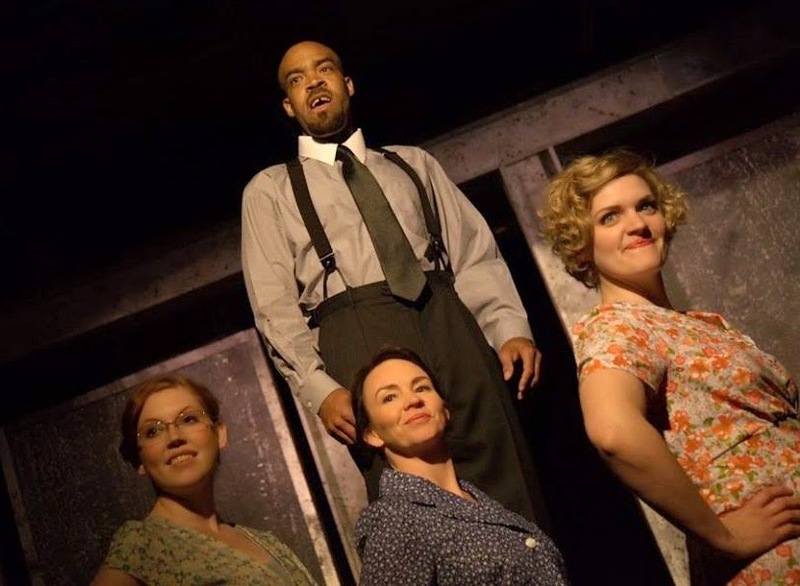 The Aux Dog Theatre Company hosts nine productions a year at their established 90-seat theatre space, and they're just one of the companies who are now calling the Aux Dog its theatrical home. 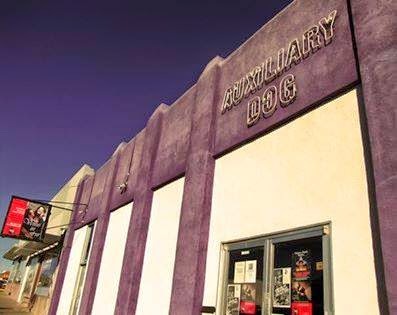 You can also catch The Dolls, a regional drag theatrical company, performing at the Aux Dog about four times a year, as well as Rocky Horror New Mexico, who perform there monthly. The new X space also includes a floating wooden, or "sprung," dance floor -- if you dance, you just sighed in relief -- and Edye Allen's company Dance Expose is already making plans to put it to good use. 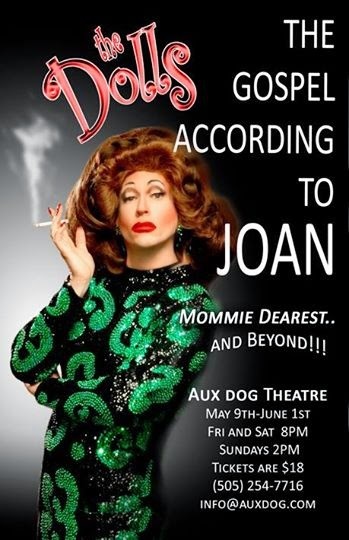 The Dolls will be opening their next show on the main stage, "The Gospel According to Joan" on May 9 and playing through June 1, and later this year the Aux Dog will be collaborating with the Mother Road Theatre Company to bring roller derby action to their venue in "The Jammer." 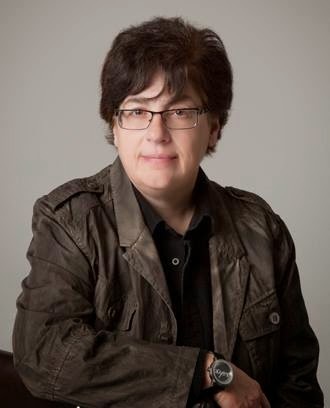 Liberatori's background made her an ideal candidate for the position she now holds, having spent 25 years as the Artistic Director at Princeton Repertory Company, an Equity company located in Princeton, NJ, in addition to other professional theatre endeavors in her past. 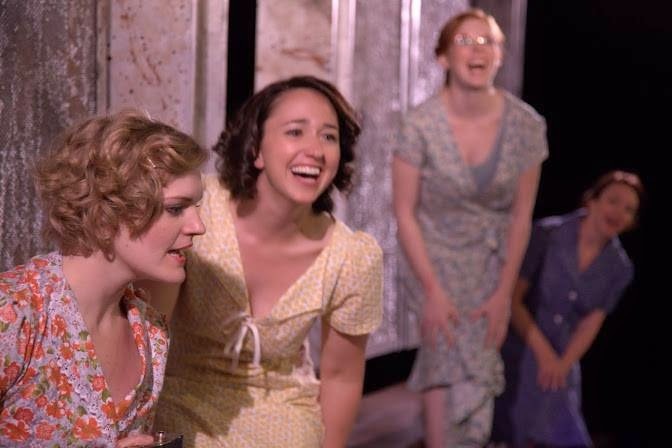 With connections to New York, the theatre capital, Liberatori has a knack for finding new (and established) theatrical works that Albuquerque audiences are ready and eager to consume. You can check out all of their upcoming shows on their website www.auxdog.com, call (505) 254-7716 to leave a message for Liberatori, or email the company at info@auxdog.com and get ready to visit their new space for something dramatically new, and completely different.